designed to help athletes meet their Nordic skiing goals. The program is best used in conjunction with your local club or team and is meant to supplement your hometown programing and coaching. The CXC Junior Development Program (JDP) is a year-round approach to training that focuses on long-term development with support from full time CXC/U.S. Ski & Snowboard Level 200 Certified Coaching staff who are committed to helping U16-U20 athletes achieve their skiing goals. The vision of the program is to promote an environment for motivated junior cross country skiers to succeed in attaining their performance goals. The intent of the JDP is not to replace your local team, but to work with your local team to provide each individual programing opportunities to strive to achieve at high levels. The JDP will work best for a young athlete if they are working daily with a local club or HS team coach during the on snow ski season. 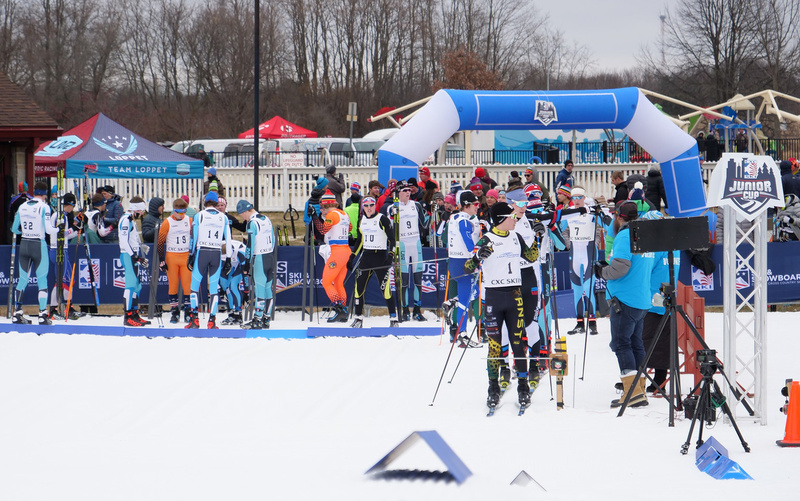 CXC Junior Development Program athletes generally strive to compete at national competition and continue their skiing career on an NCAA ski team. Joe Haggenmiller learned to ski behind many talented Americans and Norwegians and raced against at least 7 Olympic or World Champions. He is a past national champion and an Alumni of the MSHSL, NMU, and The University of Utah. Joe apprenticed as a coach under NMU Coach Sten Fjeldheim and Norwegian National Team Coach Trond Nystad. He has led International US Ski Team Trips and programs at the Junior Level (Superiorland Ski Club) and the NCAA Level (Michigan Tech). Skiers from his programs have won US Senior National and Junior National Races. Joe is in his third year with CXC after 14 years at Michigan Tech. Joe has a passion for Central region skiing and seeing its skiers excel at the highest levels. He is a US Ski & Snowboard Level 200 certified coach committed to helping junior skiers achieve their potential as athletes, students, members of the ski community, and human beings. * Stipends and discounts for camps are available on individual basis. Please contact the coach for more details to see if you qualify for reduced rates. Skiers will obtain access to an online training plan. This online system allows the athlete to record training daily. Upon imputing training information, a CXC coach will provide feedback and suggestions on a weekly basis according to athletes' comments. This, along with weekly emails and/or phone calls, enables the athlete to have consistent communication with a full time CXC/U.S. Ski & Snowboard certified coach. To understand what this service provides visit www.trainingpeaks.com. Athletes will receive a training plan that is in coordination with the training plan imposed by their club coaches. CXC coaches will communicate with the athlete and their club coach to provide extra support necessary for achieving goals and progressing themselves as cross country skiers. Athletes will be able to work with a coach on-site at major races (qualifying races for the Junior National Nordic Ski Championships and State Championships) throughout the Midwest. This includes ski preparation and general race-day support.